Spiritual healing is gaining stronger grounds as more and more finds the side effects and limitations of traditional medicine. Many people have experienced the benefits of spiritual healing in overcoming prolonged illnesses and restoration of general wellbeing. The benefits are realized only when one strongly believes in the power of alternative therapy, which comes only when you are aware where it originates from and how it heals. With the above background, Hope Academy brings forth this eBook on Chakras of Life to shed light on the human chakra system to help its readers gain a better understanding of the invisible (to a naked eye) components of human body. This book answers lot of questions and doubts one has about the Chakras and the role they play in human health. 1. Why should I know about Chakras? 2. What does Chakras mean? 3. Which are the seven primary Chakras? 4. 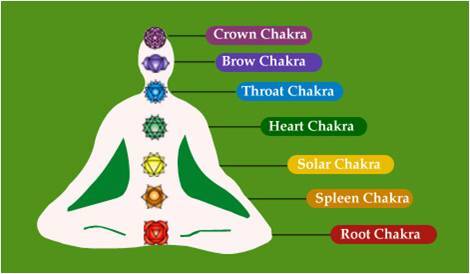 What is the role played by each of the 7 Chakras in our health? 5. How malfunctioning of Chakra causes diseases? 6. How can Chakras be healed and balanced? 1. Those who are suffering from any disease such as diabetes, heart troubles, arthritis, depression and cancer etc. and are unable to find relief from traditional medical treatment. 2. Those who practice or are learning to practice spiritual healing and alternative therapy. 3. Those who wish to enhance their personal knowledge and awareness about this discipline. It addresses following issues in a simple and easy to understand manner. Drawing upon the personal and professional experience/qualifications of our trainers, Chakras of Life presents practical tips to transform one’s health. Read on for a better and healthier you! Why should I know about Chakras? Humans have an intrinsic energy system that takes care of the proper functioning of the body’s organ system. They are responsible for good health and wellbeing. Chakras act as the connection between our physical body and metaphysical elements in the Universe. 1. To enhance one’s self awareness of how our emotions, thoughts and attitudes affect our overall health. 2. It provides a different perspective to understand the causes of illness. 3. It sheds light on basics of alternative medicine to cure diseases. 4. It helps one to lead a more holistic and fulfilling life. Chakras is defined as the spinning or rotating wheels of electromagnetic energy at certain specific positions in human body. These are also known as ‘Energy Centres’ or Energy Points’. These act as the gateways or exchange points for energy. They are the links between the Aura and the organs of our body i.e. subtle and physical nature of human body. Aura absorbs the cosmic energy from Universe which is collected and processed at these central points and then distributed to various body parts through a system of channels known as Nadis and Meridians. High frequency energy, vibrating at an optimal level, is only suitable for our body processes. So chakras release the high frequency to the physical body and pulls back the low frequency energy for conversion. This high frequency energy is actually the life force, known as ‘Prana’ which are so essential for wellbeing of humans. Chakras are connected to our endocrine system which regulates the release of hormones that regulate all the processes of our body. There are seven main Chakras and seven endocrine glands, that is to say, each Chakra is associated with one particular endocrine gland. There are innumerable chakras in our body but the most prominent are only seven which are connected to the spinal cord and head. In the next instalment we will look at each of these Chakras in greater details on 16th August 2013.